Commuting to the congested Philadelphia suburbs could become less traumatic for Southeast Pennsylvania Transportation Authority (SEPTA) riders making their way to King of Prussia, Pa. SEPTA announced on Jan. 25 that the Board has given approval for the locally preferred alternative (LPA) route proposed by King of Prussia Rail (KOP Rail), allowing work to begin on the Final Environmental Impact Statement (EIS) Phase. Currently, travelers from Philadelphia must either drive or combine rail and bus routes to reach their destination in King of Prussia. 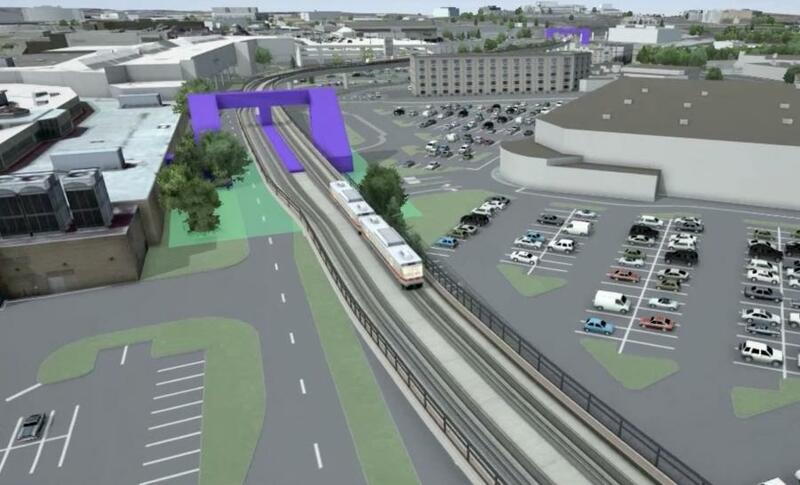 The extension will allow riders to reach businesses and the King of Prussia Mall from the 69th Street Transit Center in Upper Darby, Pa. — which connects to major routes from Center City — or the Norristown Transportation Center. Commuters will save close to 30 minutes each way, according to SEPTA. 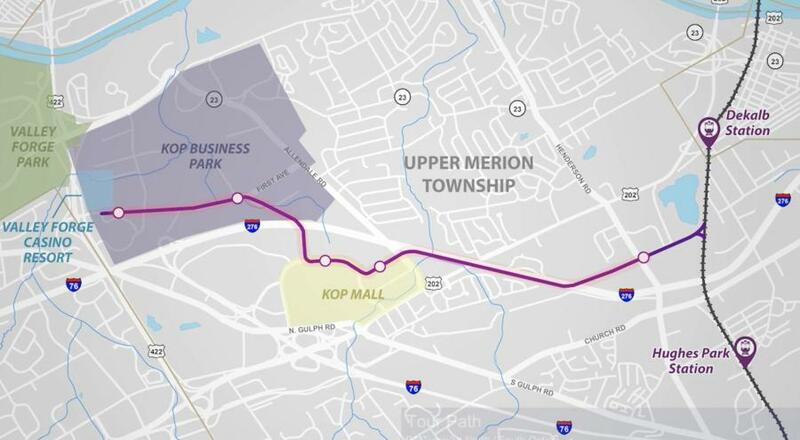 “King of Prussia Rail is a critical initiative in SEPTA's efforts to connect the region for more integrated mobility and enhance the area's economic vitality, sustainability and quality of life,” said SEPTA Board Chairman Pasquale T. Deon Sr. in a press release. The $1 billion extension will be a 4.5 mi. elevated rail. The first stop would be at Henderson Road. 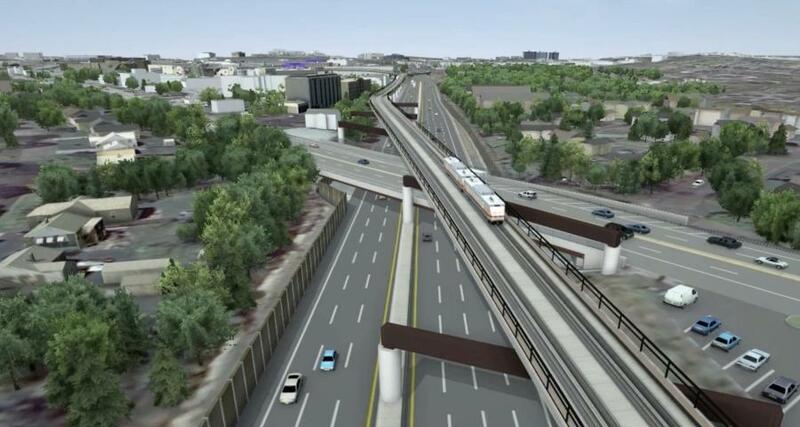 The rail line then crosses above the Pennsylvania Turnpike and makes two stops at the King of Prussia Mall and two stops at the KOP Business Park. SEPTA officials expect ridership to reach 9,500 trips per day by 2040. 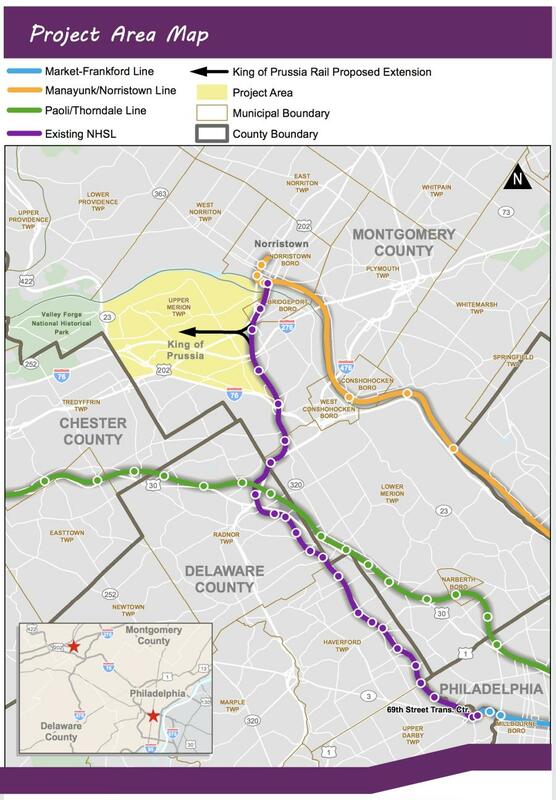 According to its press release, “SEPTA evaluated more than 30 options” before deciding on the North/South design, which keeps the rail line away from residential areas. The final EIS is expected in 2019. Once complete, the project will move to the design phase, while plans to fund the endeavor are under way. For more information, visit kingofprussiarail.com and septa.org.